On February 6, 2017, about 1100 eastern standard time, a Piper PA-32R-301, N21HD, was substantially damaged during a forced landing during the initial climb after takeoff from Potomac Airfield (VKX), Friendly, Maryland. The private pilot was seriously injured. Visual meteorological conditions prevailed and an instrument flight rules flight plan had been filed. The personal flight, destined for Newport State Airport (UUU), Newport, Rhode Island, was conducted under the provisions of 14 Code of Federal Regulations Part 91. After completing a preflight inspection of the airplane, the pilot taxied to the self-serve fuel pumps and topped-off the fuel tanks. A few minutes later, he sampled the fuel tanks and reported the fuel was blue and free of contaminates. Shortly after takeoff, about 1,000 ft above ground level, the pilot reported the engine suddenly lost power and "went quiet." He attempted to restart the engine to no avail and subsequently performed a forced landing. 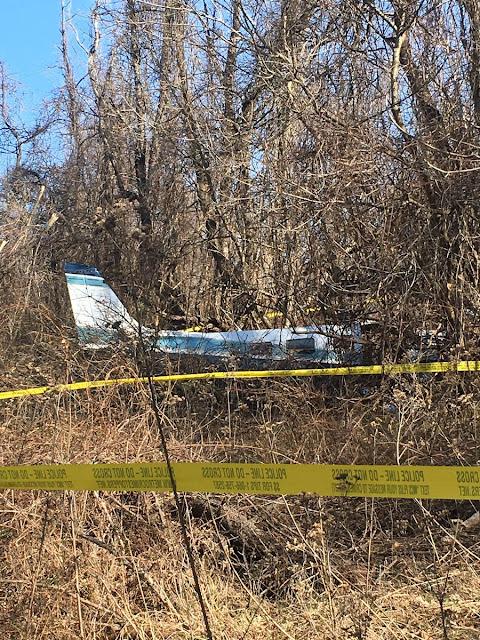 On-scene examination of the wreckage by a Federal Aviation Administration inspector revealed the engine was partially separated from the airplane. The right wing was partially separated and the left wing was substantially damaged. The six-seat, low-wing, retractable tricycle-gear airplane, serial number 3246091, was manufactured in 1997. It was powered by a Lycoming, IO-540, 300-horsepower engine. The airplane's most recent annual inspection was completed on January 11, 2017. At that time, the airplane had accumulated 1,155 total hours of operation. The engine had also accumulated 1,155 total hours of operation; of which, 480 hours were since its last major overhaul. The airplane had flown about 20 hours since the annual inspection. Postaccident examination revealed the timing of the left magneto was 14.6° ahead of 20° top dead center and the right magneto was 17° ahead of 20° top dead center. Both magnetos produced spark at all leads when rotated by hand. Camshaft, crankshaft, and valve train continuity was confirmed to the rear accessory section of the engine. Thumb compression was attained on all cylinders with the exception of the No. 6 cylinder, which was impact damaged. The engine-driven fuel pump was removed from the engine. Approximately 1 ounce of 100-low-lead aviation gasoline was recovered from the engine-driven fuel pump. The fuel was clear, blue, and absent of water when tested with water finding paste. When the engine driven fuel pump was actuated by hand, suction and compression were confirmed at the inlet and outlet port. The engine driven fuel pump was then disassembled and its diaphragm was intact with no obstructions noted. The fuel selector was in the right main fuel tank position and continuity was established from the right main fuel tank to the fuel selector. The throttle, mixture, and propeller levers were difficult to move, consistent with impact forces. 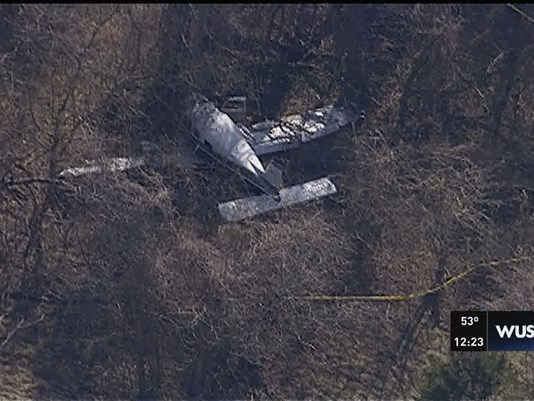 The airplane was equipped with a Bendix KMD 150 which was sent to the NTSB Recorder's Laboratory in Washington, DC for examination. The device recorded five data points during the flight, containing coordinates, ground speed, heading, and GPS altitude. A complete copy of the NTSB's Recorder's Laboratory factual report is included in the public docket of this report. The recorded weather at an airport located about 7 miles northeast of the accident site, at 1058, included wind 220 at 5 knots, visibility 10 miles, sky clear, temperature 13° C, and dew point minus 1° C.
On February 6, 2017, about 1145 eastern standard time, a Piper PA-32R-301, N21HD, was substantially damaged during a forced landing during the initial climb after takeoff t from Potomac Airfield (VKX), Friendly, Maryland. The private pilot was seriously injured. Visual meteorological conditions prevailed and an instrument flight rules flight plan had been filed. The personal flight, destined for Newport State Airport (UUU), Newport, Rhode Island, was conducted under the provisions of 14 Code of Federal Regulations Part 91. After completing a preflight inspection of the airplane, the pilot and taxied to the self-serve fuel pumps, and topped-off the fuel tanks. A few minutes later, he sumped the fuel tanks and reported the fuel was blue and free of contaminates. Shortly after takeoff, about 1,000 feet above ground level, the pilot reported the engine suddenly lost power and "went quiet." He attempted to restart the engine to no avail and subsequently performed a forced landing. 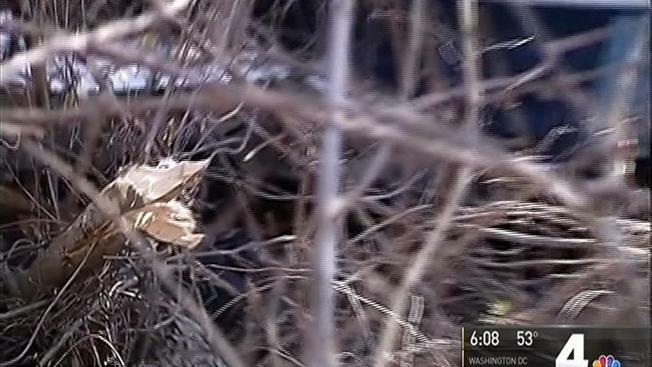 A Federal Aviation Administration inspector examined the airplane at the accident site. According to the inspector, the engine was partially separated from the airplane. The right wing was partially separated and the left wing was substantially damaged.